In a massive effort to feel fit this year I have taken the plunge into changing my daily habits. Even though I'm a slim build my fitness levels are awful, last night I attempted my first run of 2015 and let's just say I wasn't out there for long, plus I keep promising myself I'll get back into my daily exercise routine since New Years Day, but as always there's an excuse. F is sleeping so badly at the moment that I'm scraping around 5.30 hours sleep each night, with at least several interruptions so no wonder I want to hibernate and lay low on the sofa. So rather than push myself, I'm taking a more relaxed approach. Eating well, drinking plenty of water, daily green smoothies, 10,000+ steps a day and fitting in active exercise where I can. My one downfall after a busy day is coming up with a healthy and nutritious dinner when all I want to do is order in noodles. So when I was asked whether I would like to try Gousto, a healthy meal delivery service I was all ears. Our box arrived filled with goodies which would allow us to cook three meals, using organic products locally sourced (where available) in the exact quantities needed to prepare a fresh dinner from scratch. No planning, no fussing, I dived straight in and pulled out one off the three recipe cards. I decided to try the Pomegranate Glazed Kofta, which was as amazing as it sounds. This Turkish dish was ready to eat in 35 minutes alongside fluffy couscous and natural yoghurt with lightly toasted pine nuts. Mouth watering yet? If the sound of Kofta's doesn't take your fancy how about Homemade Turkey Burgers in a Brioche Bun and Caramelised Leeks and Pork. As you can tell we opted for the meat box but there is a veggie box option too. The box also includes next weeks menu with the option to choose from 10 different meals so you can customise your box to your tastes. 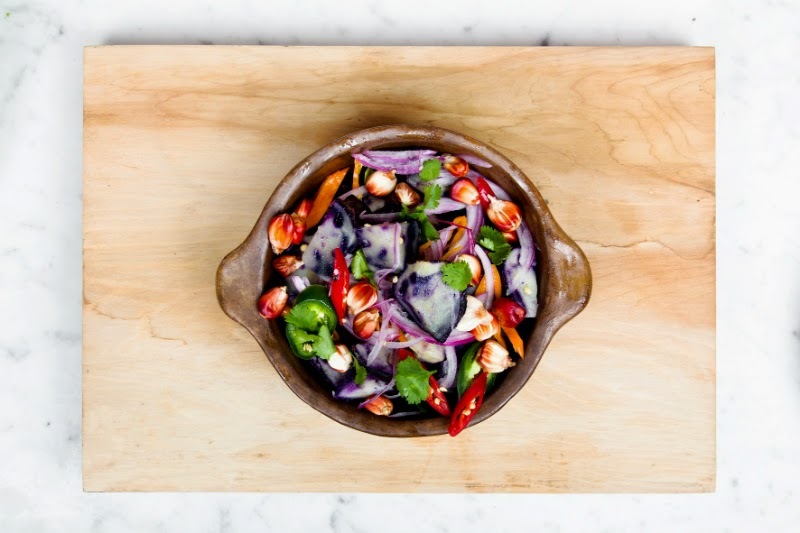 You can choose a 3 meal box for two people at £34.95, and for four people for £49.95, and with your first order you receive a £15 discount and there is the option of a flexible subscription. For me I would love to have one of these delivered every other week as a great way to break up the lack of meal planning that goes on in our house and a smaller box would probably be suffice for us. It's so nice not have to worry about cooking. Oh and I'd love to show you the finished meal but the boys got to it before I could snap it, so it's a thumbs up from them! 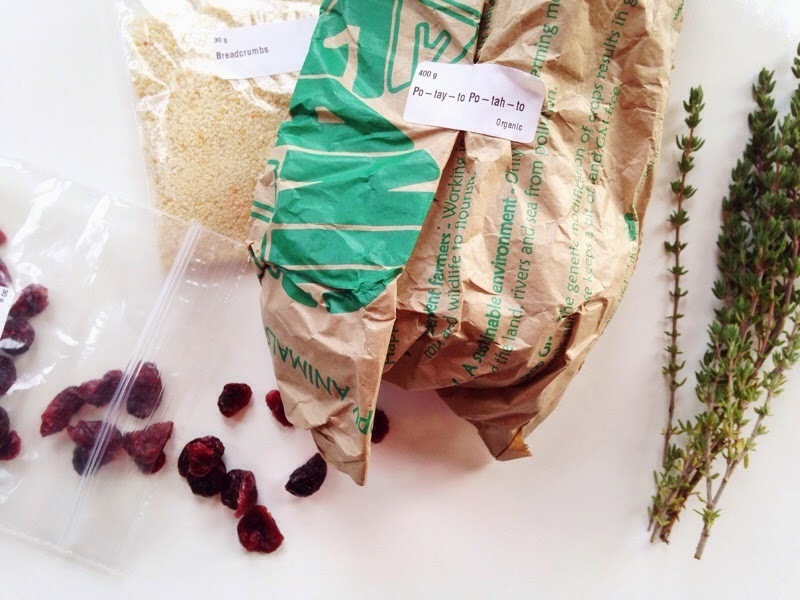 Do you meal plan in batches or just buy groceries on the go? *We received a meal box c/o Gousto for the purpose of this post. This would be perfect for when I'm away to save my husband from losing his mind with the logistics of meal planning and organising all the kids! I love these boxes, when I meal plan it's great but if I don't then we end up eating the samne thing every single day! This sounds perfect for those days you can't be bothered to cook. So much healthier than a takeaway. These sound like a great idea although I think I would only buy them occasionally when I was lacking inspiration as we have to stick to quite a tight shopping budget! We meal plan and loved a few Gusto boxes, sadly it worked out too expensive for us. Looks like a good idea! Even though cooking & planning is my thang, even I am exhausted by it all in January! 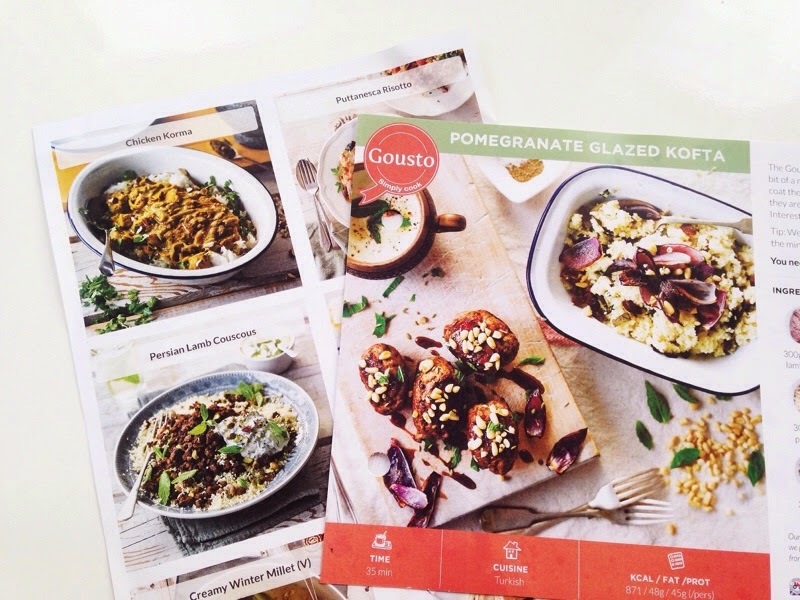 We loved the Gousto boxes and having them every other week is a great idea. I would like this as I'm quite a lazy cook. However I lack inspiration and and store cupboard ingredients so this would suit me. Sounds like a great option. I don't much enjoy cooking and getting the food healthy and wholesome is a lot of work. I think I need this in my life right now. Just can't be bothered to cook and yet feel like we really need the good stuff at the moment. This looks yummy too!